Here is a wonderful and very creative Mustache Cookies recipe for your little ones, from Smita's 'Little Food Junction'. 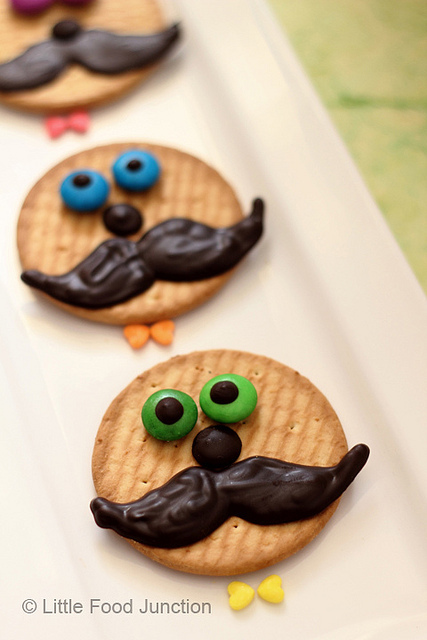 There are plenty of such simple and interesting food art ideas in her blog. Incredients: Biscuits, some tempered chocolate, few gems. Sketch the mustache on a piece of paper, keep an acetate sheet on top. 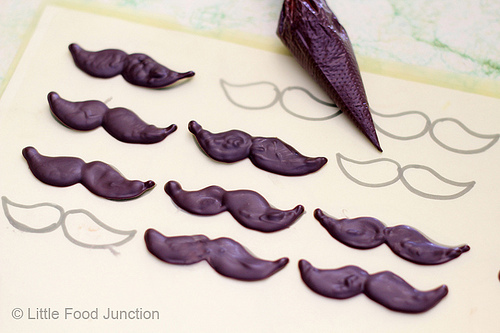 Fill the mustache shape with the tempered chocolates. Make the nose and the eyeballs with the chocolate and gems. Refrigerate for few minutes and set them on the cookies. 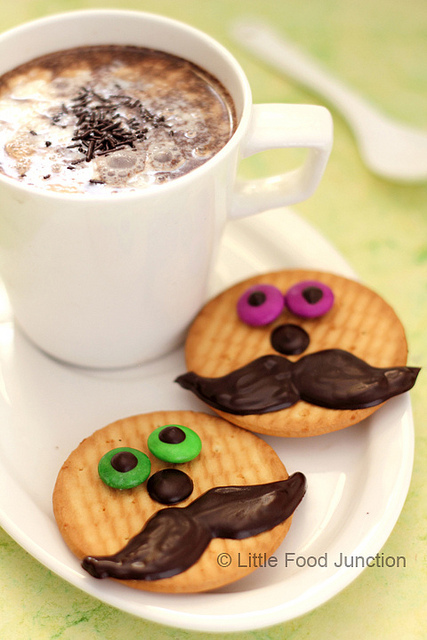 the Mustache Cookies will be ready to be served.